You know I’m a bit fan of Teagan Geneviene’s books and her blog, so, of course, I could not resist the invitation to take part in her Blog-Party Bus. But, me being me, I’ve included a review of Atonement in Bloom as well. Here comes the bus!!! Here comes my review of Atonement in Bloom! I was offered an ARC copy of this novel, that I had been after for some time, and I enthusiastically decided to review it as soon as I was able to. I have followed Teagan Geneviene’s blog for a few years and have long been amazed by her creativity and her power to weave stories from the most unlikely jumble of elements, always rising to the challenges set by her readers, and writing by the seat of her pants. I am inclined to think there is some kind of magic at work, and I am not surprised by the genre she has chosen for her novels. I have read and reviewed several of her books (you can check my most recent review of one of her serials here) and have long been a fan of her first-novel, Atonement, Tennessee (you can check my review, here). I had been waiting for the next instalment of the series for some time and had eagerly read any stories and snippets the author has shared in her blog about the Atonement universe. And I jumped at the opportunity to read an ARC copy of this novel, the second one in the series. The author has tried to make this book stand alone, to ensure that anybody who started reading the series at this point would be given enough background to follow the events and enjoy the narrative, without slowing down those of us familiar with the story. Having read the first novel a while back and having reread it recently, I am probably not the best person to comment, but, in my opinion, she succeeds, although I would recommend anybody considering the purchase of this novel to go ahead and get the whole series, as they will be able to more fully appreciate the plot twists and the character development that take place in the series. And there are some companion stories available that you will enjoy as well. The story is told from two different points of view, as was the case with the first novel. We have Lilith, Esmeralda’s (Ralda for short) calico cat, whose narrative is told in the third-person, and whose personality (her likes and dislikes, her strong opinions, and, indeed, her all-appropriate curiosity) shines through even more than in the first novel. She is witness to a number of events that allow the reader to be slightly ahead of Ralda at some points, but also increase the suspense and the expectations. She is not a human narrator and her understanding of events is often puzzling for us, so her clues are a bit like cryptic crossword prompts, familiar and alien at the same time. She gets involved in some hair-raising adventures of her own, and the end of the novel hints at many interesting things to come for our favourite feline narrator. Ralda is the other narrator, and she tells the story in the first person. Those of us who have read the first novel know that she is a Southerner at heart, although she has spent many not-very-happy years in Washington DC. Atonement, Tennessee proves to be anything but the quiet and charming little town she imagines at first, secrets and supernatural events abound, and most of them centre on her house and her family line. She is a woman of strong intuition, but there is more to the events unfolding around her than a sixth sense. If the first novel saw her teetering between real-world difficulties (the move, the state of her house, the problems of her new-found friends), and some strange and decidedly supernatural events, in this second novel she at first suspects, and later comes to realise, that in Atonement, Tennessee, there is no clear separation between the “normal” and the “supernatural”. One of the things that make her a very compelling character, apart from her lack of ego and her self-deprecating sense of humour, is her open spirit and her ability to experience the wonder of the world around her. By her own confession, she has suffered the nasty side of things and people, and she at times appears overcautious and paranoid, but she is unable to say no to anybody needing help, and no matter how hard she resists, she finds it difficult to believe the worst of anybody. She might hesitate, but she will get in harm’s way if any of those close to her are in danger (and that includes Lilith, of course). As for the plot… After taking stock of what happened in the first novel, things start getting interesting very soon. Some of the characters we thought we knew are revealed not to have been how they looked like at first (some for the better, some for the worse), and we have quite a few new characters turn up, some supernatural without a doubt (including my beloved glowing pigs), and others… well, I’ll leave you to see what you think. But there are unrequited loves, magical objects (one of my favourite things, both in fantasy and in the horror genre), some very Shakespearian turns of events, kidnappings, natural (or supernatural) wonders, and a fantastic battle scene (and I won’t reveal anything else). Although the storyline is complete in itself and the events that unfold during the book get a resolution (and a more than satisfying one, I might add), there are mysteries still to be solved, some new ones hinted at, and I can’t wait to read the next book. If you love fantasy, supernatural events, folklore, myths and legends, Shakespeare, and appreciate a wild-tale full of imagination, you’ll be delighted by this book. I know I was. And now, back to the party and to Teagan! #Blogtour RATIONAL CREATURES Ed. by Christina Boyd (@xtnaboyd) It was hard to be a woman in the Regency period and Austen knew it all too well! A must read for Austen lovers. Thanks for keeping this bus on the road! Thanks for staying on the bus all the way to Barcelona, Dan. Hugs. I’ll hop on this bus whenever I see it. Hi Dan. I’m glad you could make it to Barcelona. The Rowdy Rooster is having ‘la hora del vermut’ in Olga’s honor. (I hadn’t heard of it until just now, so Olga can correct me if I’ve gotten inaccurate information. I do love vermouth. https://theculturetrip.com/europe/spain/articles/la-hora-del-vermut-what-you-need-to-know-about-madrids-most-treasured-tradition/ ) Thanks for staying on the bus. Cheers! I love being on this bus! Great to see so many books from familiar bloggers featured, Olga. Teagan’s new book sounds really good too, and I wish her well with it. Your ‘club’ of literary bloggers are all so supportive of everyone else, and it is always a joy when they (and you) bring out something new. Thanks, Pete. I agree. It is great to have such a closely knit group. My next one should be coming out in December, everything going well (just in case you were wondering). 😉 Have a great Tuesday! Thanks, Pete. Please, do. I must do a catch up post at some point, but I’m juggling a few balls at the same time at the moment. I’m doing some volunteering at a local radio station, on the news team, and it is a steep-learning curve, although I have become much more aware of what is going on at the local level. And it is a great way to meet new people. Take care! How cool that you’re getting to do your radio work again, Olga. I remember when you were doing that in the past. You are one busy lady. Oh! That’s wonderful, Olga. I can’t wait. Thank you kindly, Pete. I’m always compelled to bend the rules, so for my launch I included as many books as I could from other people. There are several different genres represented, as well as artists of various types. Have a terrific Tuesday. Hugs. Thanks for the radio link! Google translated most of it for me — it’s very cool. Project Register the Memory sounds like a wonderful thing. They do have a very varied offering, and a large variety of volunteers, from people who have been in the radio forever, to journalims students, or people who do programmes on their personal interests (sports, politics, regional music…). I hope perhaps in the future I’ll have a programme to myself, but I’m learning the ropes a bit, and news programmes are always interesting. Perhaps a bilingual or trilingual programme? Good morning, Olga. Thanks to you, my Tuesday is off to a terrific start! I’m so happy that you are on the party bus. Your review knocked my socks off! I am truly grateful. You chose the perfect spot in the post to add your review too. Perfect. Roll on party bus. Beep-beep yeah! 😀 Huge hugs. I will sail above the orcs on my way into Mordor. 😀 Time to fly. Fantastic book review! I read Atonement, Tennessee and now I really have to read Atonement in Bloom! Hi Jacquie! OMG… I keep reading and rereading Olga’s review. It will keep me lifted up on many a difficult workday! Thanks so much for your support with the book launch. I appreciate you making the rounds here. Great big hug! That’s one sterling recommendation, my friend, congrats! Thank you, Vashti. I saw your post as well. I had Teagan’s book on my list and managed to read it in time for the tour. Well, once I started reading it, I could not stop! She always organises great parties. Hi Vashti. I was so happy when Olga said she would add a review to the launch party. Thanks so much for visiting here and for helping to keep the party bus rolling. Have a wonderful Wednesday. Hugs. Thanks for visiting, Christy. I’m delighted you are enjoying the party. Hugs! Thanks, Sally. I’m sure you’ll love this one! Have a great Thursday! Hi Sally! Thanks so much for all your support in this book launch. I couldn’t be happier with a review. Olga provides wonderful details in her reviews. I also appreciate that she doesn’t use a scoring system — rather gives us those useful details. Wishing you continued success with all your books. Hugs on the wing. 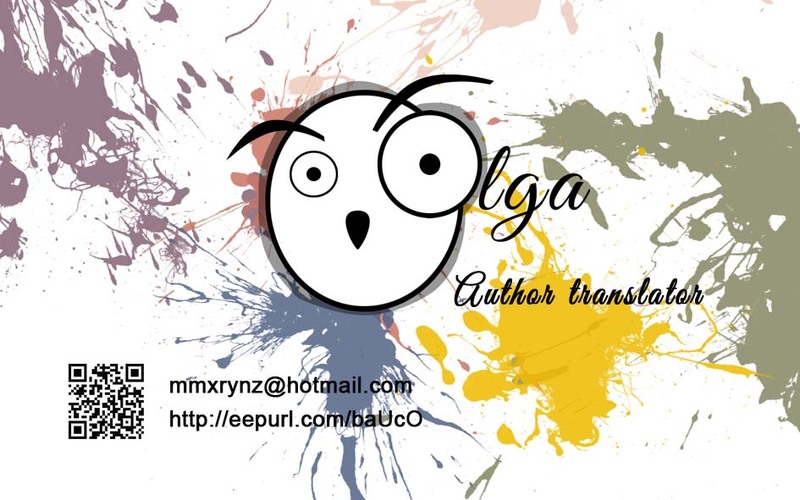 A wonderful review of Teagan’s new book, Olga. I have this and am looking forward to reading it. Hi Robbie. I’m still glowing from Olga’s review. Thanks so much for all your support too. Happy weekend hugs! Thanks, Diana.I think your review is fabulous. I was reaind one of the posts Teagan shared, an earlier teaser, and now it all makes sense. A magical ride through a place that we don’t want to leave once we step into it. I hope the next one will not be too long in coming but with such complex stories, I’m not surprised Teagan needs to take her time. I hope her books reach many readers because we can all do with a bit of her magic. Best of luck with your books as well!